Born in California, Evolved in Japan. 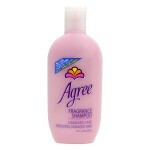 Agree hair care series from California lauched into Japanese market from 1987 by SC Johnson. OHYAMA was only a sales agent of Agree at the time. 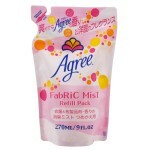 In 1994, Dep corporation bought out “Agree” brand and they relaunched Agree products in Japan. Products lineup were renewed, the package design and capacity changed almost the same as the current shampoo and conditioner (for damaged hair). Of course, OHYAMA was appointed as a sales agency again for create new category “Fragrance Hair care” with the new “Agree”. We decide to reset the price reflecting the exchange rate at the time. And we did in store promotion using the big floor display furniture on a large scale, to give an added value to “Agree” . As usual, hair care cosmetics such as shampoo and conditioner were a mere consumables. But it was the innovation of hair care category by marketing with an emphasis on personal use. 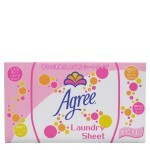 After that, Agree faced the crisis of extinction cause of takeover bids in U.S.A. over and over. But many people called “Agree Lovers” in Japan rescued from emergency of discontinue. Tousand of passionate request to continue Agree (most of those sent by e-mail) were transfered to manufacturer through internet, and it is good enough to persuade importance of Agree’s own position in Japanese market. [Image] “Agree” catalog cover at the time the OHYAMA became a general agency in Japan. 2009, our related cosmetic importing company (International Cosmetics, Inc.) legally got the whole license of Agree brand after several times of negotiation at last. 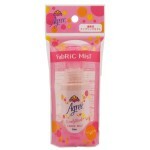 Listen to Agree Lover’s voice, they launched new items such as hair fragrance, body soap, hand cream and eau de cologne. So they succeed to appeal again forgotten fragrance of “Agree” for former lovers . They work so hard to revive the brand, and after few month their dream came true rapidly as turning Agree into total fragrance cosmetics brand. And now, after a quarter of a century from first launch in Japan, Agree becomes traditional fragrance without being swayed by trends. It is our irreplaceable treasure, it will be inherited from mother to daughter and it will be attached to many people, forever.